Showing results for tags 'ballistics'. What ballistics standard does arma use in its calculations? This is mainly for the developers or anyone who actually knows for fact the inner workings of arma physics.... Which model is arma using for calculating ballistic calculations for bullet flight? ASM or ICAO? I see people making mods trying to give 'realism' and they using apparently two different standards according to the ammo data given.Vanilla says ICAO (g7) but also ASM (G1) I just want to make sure that arma can tell the difference. I have a question on the concept of Rifleman's Rule. Simply, it has to do with aiming lower when shooting uphill or downhill: https://en.wikipedia.org/wiki/Rifleman's_rule Would this apply to other projectiles like rockets and missiles? From what I understand, Arma has a decent ballistics system (obviously with ACE it is even better). Hello I wasnt able to find answer for my questions in any post that I check so I decided to make my own. I need to know : HOW DOES SCOPE ZEROING WORKING IN ARMA 3. HOW DOES GAME CALCULATE WHAT ANGLE corresponds to for instance 2000m zeroing for given weapon? My wild shot is that there is an algorithm that is calculating what angle needs to be set to hit target at 2000m range and 0.0 elevation it uses same function which simulates bullet trajectory. Am I missing sth? Hello friends, This is Dagger Weapons (and ballistics) for Arma 3. You can download it here: Armaholic: http://www.armaholic.com/page.php?id=30170 Steam Workshop: http://steamcommunity.com/sharedfiles/filedetails/?id=639464956 Six Updater: http://withsix.com/p/arma-3/mods/BwbgUy_jqEipuxRIarFMRg/Dagger-Weapons-for-Arma-3-%28and-ACE-3%29 It adds many new sniper rifles and a wide variety of ammo types, wich use ACE 3 Advanced Ballistics parameters. All ballistics data is based on real life coeficients and you can play the game using your real life ballistics calculator, as well as the ACE 3 ballistics hand held and rangecards. The rifles are based on the wonderful BohemiaÂ´s sample models for Arma 2 and come with many added features like iron sights, rails, etc, and they are painted in many different realistic official camouflage patterns. There are also some hand painted rifles, made using sniperÂ´s real life techniques. Manual, and signature included. No more LEA config file because people use Virtual Armoury now. I hope you enjoy playing Dagger Weapons & Ballistics just like IÂ´ve enjoyed making it. Cheers! photo hosting Requirements ACE 3: http://www.armaholic.com/page.php?id=28557 CBA: http://www.armaholic.com/page.php?id=18767 Extra Notes There are optional configs allowing to use Dagger magazines with Massi weapons, SMA and the 3 RHSÂ´s. BCÂ´s come from Bryan Litz books and they were all set to G1 for the sake of comparison with other calibers with less info on them. Current Version V4. Invitation To My Fellow Moders Hey guys, if you make weapon mods and would like to add my ammo and magazines to your mods it would be an honor for me. Please, contact me so that we can advance this idea together! Special Thanks BI team, for the wonderful game, forums and sample models. Massi, for the iron sights. ACE team, for the the many sniper toys (like the Kestrel, Vec-21, tripod, etc). WG6, for the M24A2 idea. AR15 and Sniperhide forums, for the open minded discussions and mutual help. BI team, for the wonderful game, forums and sample models. Massi, for the iron sights. ACE team, for the the many sniper toys (like the Kestrel, Vec-21, tripod, etc). WG6, for the M24A2 idea. AR15 and Sniperhide forums, for the open minded discussions and mutual help. Team Dagger Digao.pf, beta tester, arts suggestions, military research, logo. ToreDL87, supporter. Irvin_Mainway, military research and beta tester. VekongMaster, military research, beta tester. Sorophx, Arma3 youtube video. 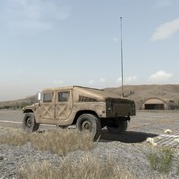 Multiplaneta, mods research, Arma2 youtube video, beta tester , military research, animations. Feltz, beta tester. Dagger, project leader, 3D reticles, texture, specular and bump maps, manuals, FOV math, ballistics, configs, military research, beta tester. Changelog V1: First release. V2: Added bump maps and specular maps to the weapons, added new ammo types, improved the weapons 3D models. V3: Synced with Steam Workshop. V4: Shared a sudy on Arma 3 ballistics, revised the penetration and damage system, fixed some .308 BCÂ´s, made the ammo SMA, RHS and Marksmen DLC compatible and removed the message at the startup, fixed some rifle dispersions, added different shot sounds, added HP ammo to .300 blackout and 6.8 SPC calibers, fixed assault rifles magazine muzzle velocities to match ACE rifle barrel length parameters. Reduced weapons mass to allow carrying them inside backpacks with other stuff.